Home » 10 Ways to Get Things Done on Time! Are you punctual and always on time? Do you complete the assigned task on a given deadline? Are you able to finish off the items on your to-do list every day? If your answer is “yes” to any of the above questions, then you must be managing your time well. But if your answer is “no” then read on to find out how you can manage time well and get things done on time. We all procrastinate at one point or another in our lives. We get distracted by a phone call, a message, even a new AD on TV and delay the task at hand. Believe it or not, but it is not the internet’s fault that we end up delaying things. It’s habitual! To help you get thins done, we prepared 10 essential time management tips to help you increase productivity in your personal and professional life. Plan your day before it starts. Always list the jobs you want to accomplish in the morning or better off, the night before you sleep. Stick to the plan as best as you can. 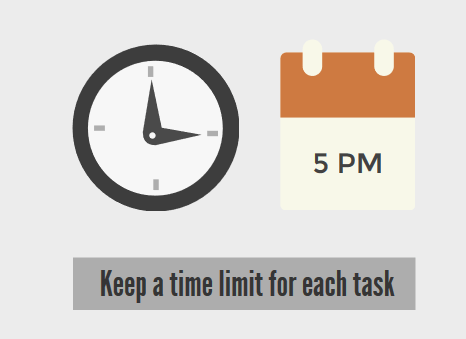 In your daily planner, mark each task with a time limit. Be clear that you want to finish the A task by 3 pm and the B task by 5 pm. Having a deadline should motivate you to work more efficiently. Let’s think… What distracts you most while working? Facebook, Whatsapp, TV, emails, or phone calls? I even get distracted by a dog barking outside my window. 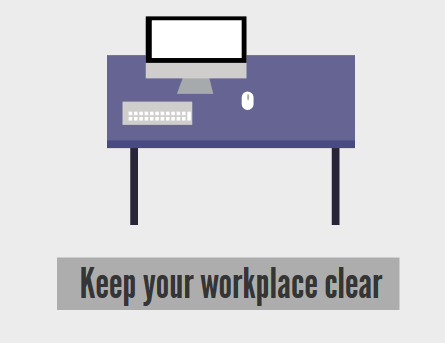 To focus better, close your email, turn off your phone, TV and if needed – close doors and windows as well. A cluttered desk will also come in the way of working efficiently. My colleague who has a desk next to mine has such a messy desk that it takes her approximately 5 minutes just to find a pen! An organized and tidy workspace will allow you to find things easily and get things in an orderly manner. Many times we stress when we have more work in hand then we can manage. Our body often feels tired which affects our productivity. Realize that no amount of thoughts will make your to-do list shorter. Focus on one task at a time and the work will be finish in a jiffy. You might find this one ridiculous, but breaks and small moments of relaxation will not affect your productivity but should let you even do more. Short walks, listening to music or maybe petting a cat for five minutes between tasks can improve your work efficiency. If you ask any successful person what is their key secret of success, they will probably tell you one same thing – they start their day very early. When you get up early, you are more calm and clear headed but as the day progresses, your energy levels decrease resulting in less productivity. If you think you are already loaded with work, say NO for additional work. Consider your workload before accepting any more work. Many people might think sacrificing sleep or eating their meals faster might help them hack productivity, but that is not the case. 7-8 hours of sleep is needed by the body and mind to function properly. Eating a healthy diet and getting adequate exercise also helps boost energy levels and allows you to focus more clearly. A traditional pen and paper planner is one of the best ways to set a schedule but in this technology age, people might find you old-fashioned. There are many apps, products, and sites out there which will help you be more organized, productive and meet all your goals. Remember, it is not possible to get everything done and sometimes you may feel that there are not enough hours in one day for you to accomplish everything at hand. Be calm and work smarter, not harder. 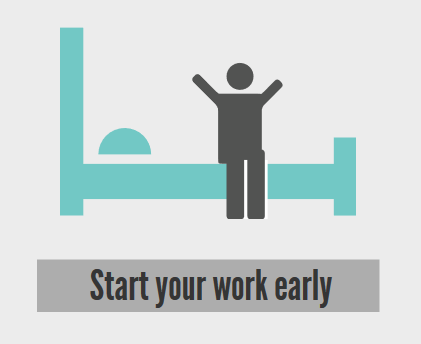 Follow the tips mentioned above and you might find that there are enough hours in a day. 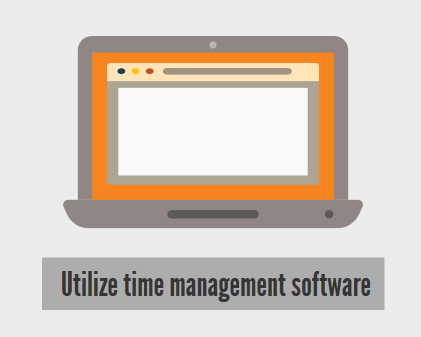 Effective Time Management Quiz – What Do You Know About Programmers Life? Marlena helps users to go through the first steps with TimeCamp. She usually writes about time management and productivity.